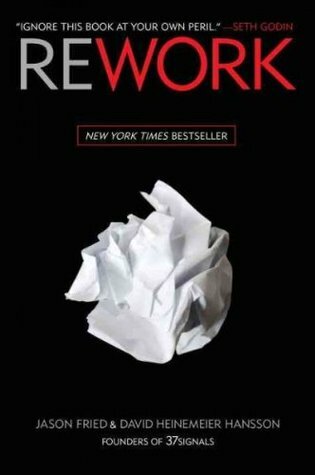 Rework by Jason Fried and David Heinemeier Hansson offers a new approach in the business world. It’s not based on academic research; it’s based on personal experience. This book is for those who have never dreamed of starting their own business, as well as those who already have a successful company. It’s a guide for rearranging your business and reworking your work. Today’s reality gives everyone the chance to start a business. Tools that used to be out of reach are now easily accessible. We all have ideas, which last forever. What doesn’t last forever is inspiration. You will need inspiration, and this book can be the perfect inspiration for you to start something special and move forward in writing your own success story. Jason Fried is the co-founder and President of 37signals. Jason believes there’s real value and beauty in the basics. Jason co-wrote all of 37signals books, and is invited to speak around the world on entrepreneurship, design, management, and software. David Heinemeier Hansson is a Danish programmer and the creator of the popular Ruby on Rails web development framework. He is also a partner at the web-based software development firm 37signals based in Chicago, Illinois. Never listen to dream killers. Learn from success, not from mistakes. Make a decision right before doing something. Create something you want to use. The perfect time never comes. Use constraints to start at the epicenter. Get into a rhythm by making decisions. Copying is a formula for failure. People will love your product because you love it. Build an audience by teaching. Do it yourself first, then hire. How to hire a good worker. Consistent behavior creates your business culture.